A type of music called “Americana” has been played in Montana for more than two centuries (that we know of) beginning with the Lewis and Clark Expedition. Aaron Parrett, author of a new book Montana Americana Music: Boot Stomping in Big Sky Country, says " The Corps of Discovery had a high percentage of people of Indian extraction along with them. I think it’s a half or two-thirds were Métis Indian, including Pierre Cruzatte, one of the fiddlers (there were two). 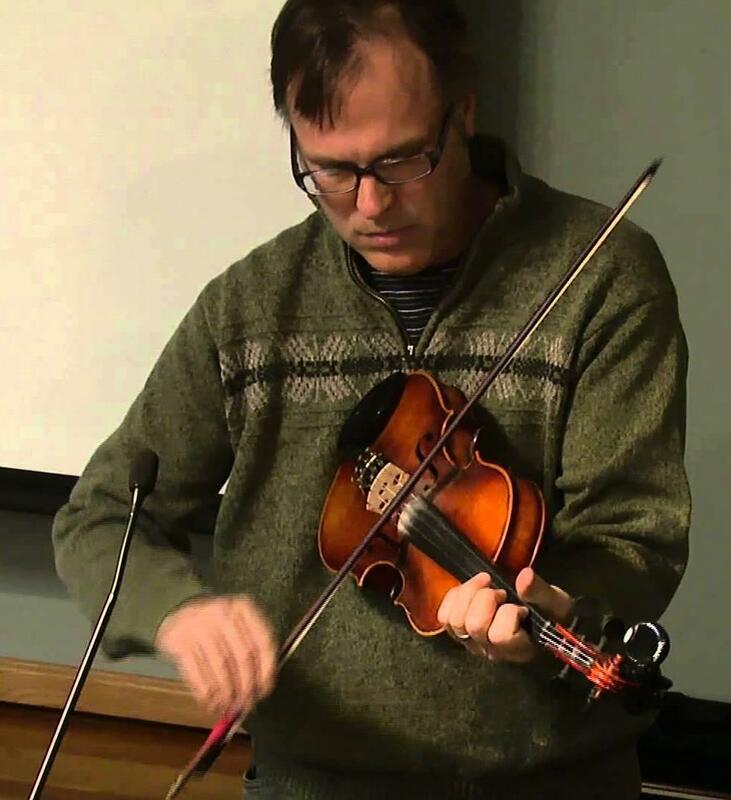 And he played a lot of what we would now recognize probably as Métis fiddle tunes." Chérie Newman: But what, exactly, is Americana music? Aaron Parrett: “Americana” is a tricky word to apply to music, mainly because in the industry it’s used to refer to the radio format, which includes many genres. But the one thing that all of those genres sort of have in common is that they are associated with country, rather than city. AP: Musicians like the one you’re hearing right now, Country Girl Kay, were not only amazing musically, but they also had fascinating back stories. In the case of Country Girl Kay, that backstory was tragic. But for other musicians like the Mission Mountain Wood Band, great phenomenal success. They became world-famous. CN: Mmmm, sounds kinda like Bluegrass music. AP: People hear a fiddle and a banjo and they think bluegrass. But really, Bluegrass is a very narrow, narrowly-defined kind of music. It has to have three-fingered bluegrass banjo with finger picks. You know, that frenetic, angry-sounding, Earl Scruggs banjo style. And the fiddle is very flashy and showy and you have to be a pretty accomplished musician to play bluegrass fiddle. Whereas old-time music, while it does have a fiddle and a banjo, the banjo is claw-hammer style and the fiddler is not necessarily very accomplished; he just needs to be able to play a tune well enough for people to dance to. In fact, there was a compilation of Montana fiddle tunes put together sometime in the 1970s called “If You Can’t Dance To It, It’s Not Old-Time Fiddle.” I think that’s a great distinction because you don’t really dance to bluegrass. It’s listening music. AP: The Big Sky Mudflaps I think are the longest-lasting band I discussed in the book—at least the most steadily-working band. They came together in the early ‘70s, actually down in Hamilton, Montana. Phenomenal band. And The Big Sky Mudflaps have probably the greatest band name, ever. And they told me that the Duckboy postcard guy, Paul Stanton, gave them the name. And he said, All your advertising will be done for you. Aaron Parrett was born in Butte, Montana. He earned a degree in Philosophy from the University of Montana and holds a Masters' and a Doctorate in Comparative Literature from the University of Georgia. He has published widely in many fields, including fiction. He has also gathered accolades for his original music, including the 1996 album The Sinners. In 2004 he won The People's Choice Award from the Montana Historical Society for his article "Montana's Worst Natural Disaster." When Aaron Parrett set out to make a list of the literature created in and about Butte, Montana, he discovered something surprising: Contrary to popular belief, Mary McLane was not the first novelist to come out of Butte. The first novel he discovered was published in 1880s by Josephine White Bates. When you hear the word “baseball,” Montana is not the first place that comes to mind. But there are stories here. And now, thanks to Skylar Browning and Jeremy Watterson, those stories have been exhumed from historical archives and published in a book titled Montana Baseball History.